Show humility by asking coworkers for help with tasks you're just learning. The first few days and weeks on a new job can set the tone for your future with the company. If you’re not careful, you might displease the leader of the pack and end up in the doghouse. 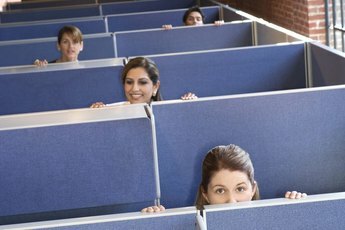 When your supervisors or even your peers perceive you as a know-it-all or someone with an attitude, they can make your life at work miserable by keeping information from you, placing stumbling blocks in your way or sending you on wild goose chases just to watch you run. Start out on the right foot and ease your way into a new job to pave the way for a smooth tenure. Make a positive first impression by showing up on time, or even early, for work. Return on time from lunch and breaks, then begin working as soon as you arrive. This gives your coworkers the message that you're a reliable team player. 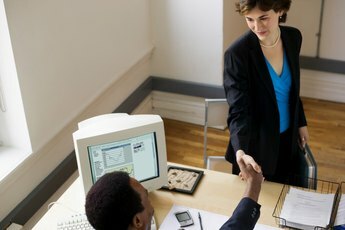 You’ll have time for water-cooler talk once you’ve established a solid reputation as a good worker. Dress appropriately for work, following the lead of your coworkers. Showing up in designer suits and 4-inch heels when everyone else wears flats and khakis can set you apart in a bad way and make it more difficult to establish friendly relationships. 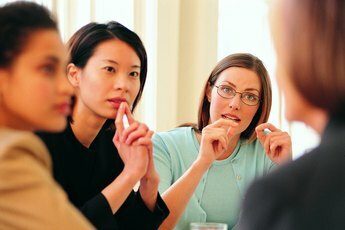 Learn your coworkers’ names as soon as possible -- it can be off-putting to have to tell someone your name several times. Use a cheat-sheet or memory tricks to help you remember names. Ask for help from your coworkers. Even though you may undergo a training period with your manager, when you have questions about day-to-day operations or about some detailed aspect of the job, turn to peers who have been there for a while. They'll appreciate that you recognize their knowledge and experience and may even share some important tips with you. Listen more than you talk. Your peers will tell you how to get along with them if you listen closely to what they tell you and how they interact with each other. Additionally, when you talk too much, you can come across as a know-it-all and your coworkers will quickly turn you off. Bring your "A" game to work every day. Be positive and leave your personal problems at home. Keep your enthusiasm for the new job and for your new coworkers turned up high when you first start. Complaining and grumbling will get you pinned as a trouble-maker that no one will want to befriend, except the other complainers, and that won't serve your future well. Be careful about letting your comedienne out in the beginning. You may be stuck with a group that doesn’t appreciate pranks or even get your jokes. You may inadvertently insult someone with one of your comedic tales. Wait until you know your coworkers enough to be familiar with their sense of humor. Watch who else tells jokes or instigates pranks and notice the reactions of your peers. 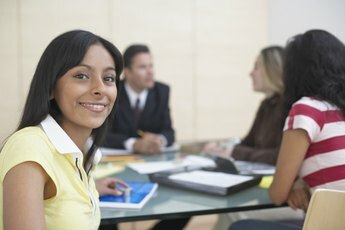 When I Am Leaving a Job, Is It Okay to Tell About My New Job?